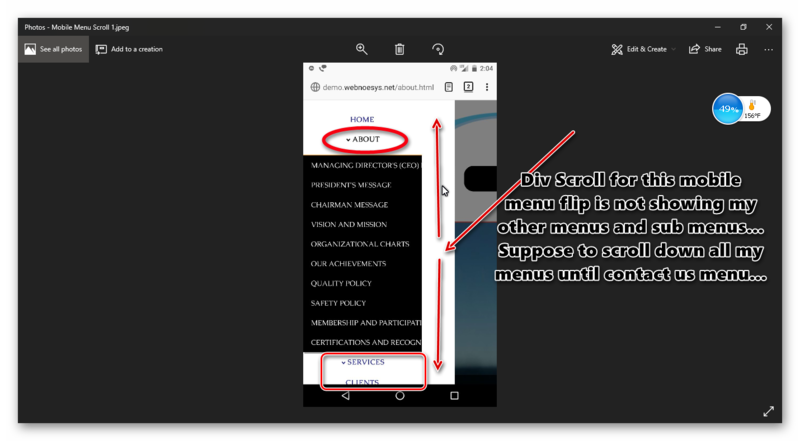 Mobile Menu (Slide Menu) with more pages menu & sub menus Scrolling Functionality Missing ? We have more pages, menus, and submenus under our project. When we open in our mobile we are not getting any div scrolling vertically option. Is that achievable using the below mobile menu opening functionality ??? Thanks for your updates Beta Release of Themelr. We are expecting such a great menu functionality since the long period of time. Appreciated. 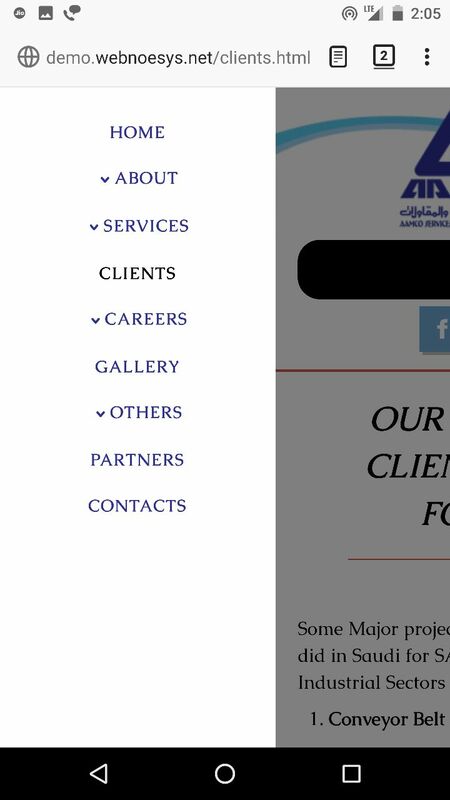 We have used this Slide Menu in one of our projects (We are changing it ASAP since we are facing issue with scrolling vertically to view our all below menus and submenus in mobile version) Why this is not yet developed ??? Kindly find the screenshot attached for your reference. A) Can we get the option to add one icon or image or logo on our menu? 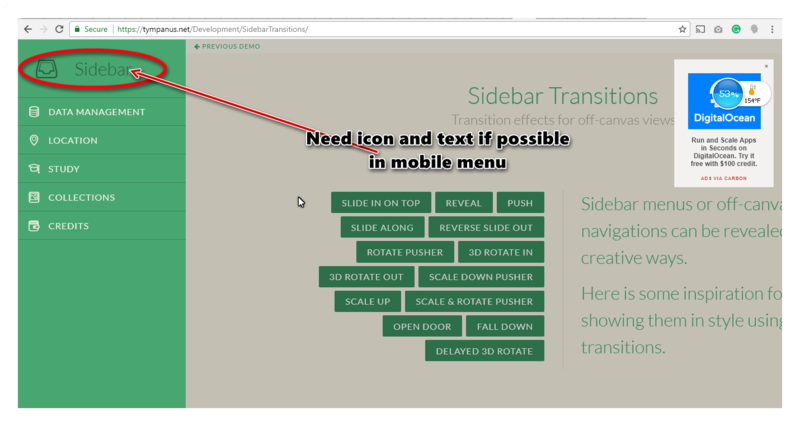 B) Animations for mobile menu slide like flip, drop from the top, bottom, shake etc...? C) Can we change the background flip color? D) The flip background is that possible? Waiting for your valuable quick response. Menu Icon at top of flip. Screenshot attached. This issue will be fixed in the next Themler update. This is a first beta release of the feature. this is beta release and unexpected issues are possible. We do not recommend using the beta version of features on the production websites. We added your requests to our wish list. Sir, Kindly find the screenshot attached for your reference. 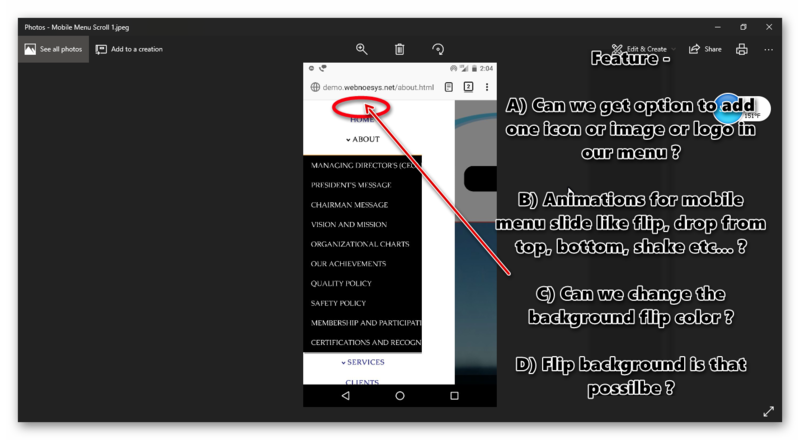 B) Animations for mobile menu slide like flip, drop from the top, right, left, bottom, shake etc...? We have fixed the issue with the missing scroll bar in the latest update. 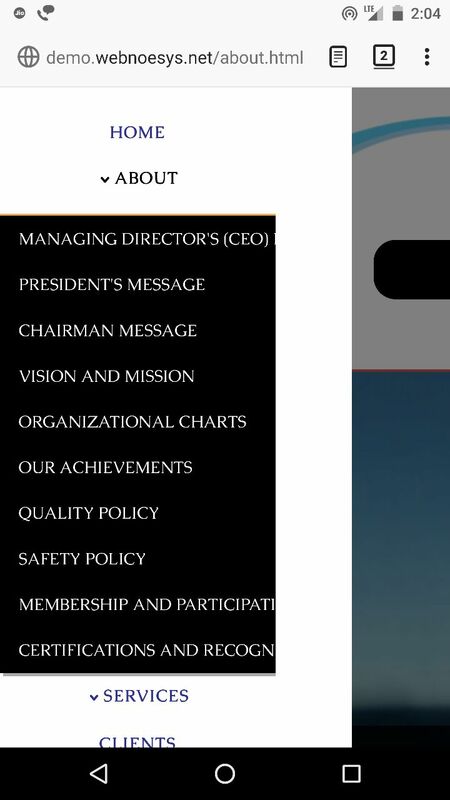 Also we have added the header and footer areas to add controls into menu. Also we will consider your suggestions regarding animations. Issues fixed in the latest releases, we are really happy with your great work and appreciated your support and quick response. Great Work was done by the Themler Team and their Developers. Thanks for your comments. Feel free to contact us in any other occasion. is it possible to show menubar on right side? Unfortunately right side menu bar is not supported yet. But we plan to implement it in the future Themler updates. Is that the script which plays left to right slider ? Suffian, i am not sure i understand your code. is this a temporary fix for showing the off canvas menu animation from the right? The code I took it from Themler Project style.css and script.js file itself...? Hope you better know these code by your end itself. Let us know script.js file where that code animation from right to left is there so that we can understand it and make some changes to achieve the same to change off-canvas menu animation from the right. Hope Themler team will understand it and let us know the permanent fixes for the same ASAP. Is there any update about "when" the update will be available? Or, has anybody been successful in making the code edits to have the right off-canvas? Is there any update about "when" the update will be available? 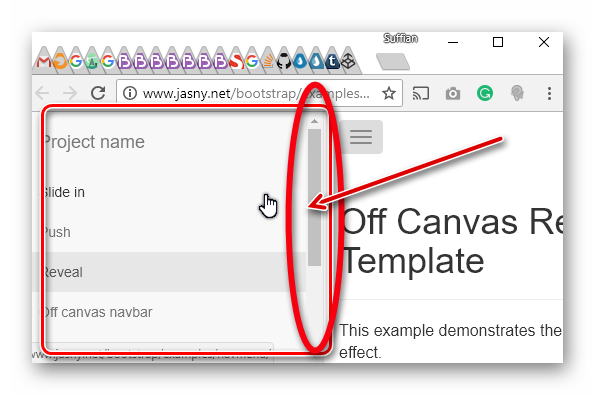 Or, has anybody been successful in making the code edits to have the right off-canvas? I actually found a solution - while we wait for Themler. 3 changes will move the off-canvas menu to the right (and the reason "I" needed to do this is because the site owner mandated the menu come out from the right since that's where the menu button resides...), and also wanted the mobile menu to be the "main" site menu for desktops - just like Tesla has. That last part will override the inline style which is set to "margin-left: 250px;" along with "opacity: 1;". 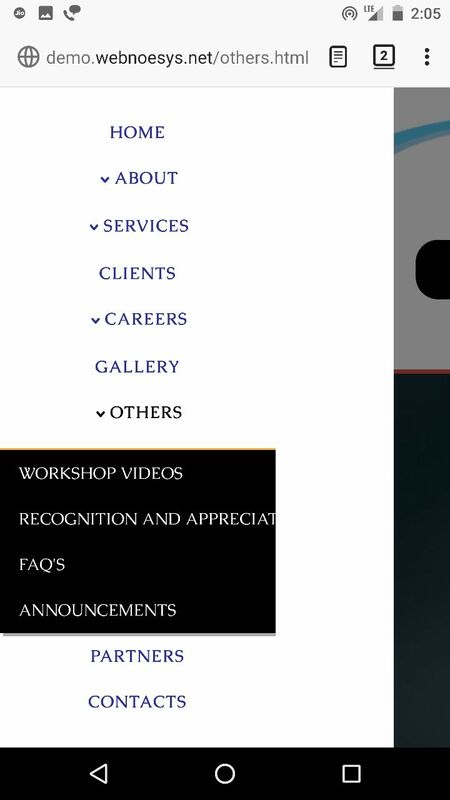 So, to be clear, you can override the default side from which the mobile menu appears using CSS only. I hope that helps you all. We tried your script above but could not succeeded. Can you please share your live link so that we can understand it in live. We have added your css code in our project but not getting the desired output. We need mobile menu comes from Right Side. What is div[style] thing, can you please share some more details. If possible, can you review our above live website and share the sample script to change as per your script.